…. My propensity for design. 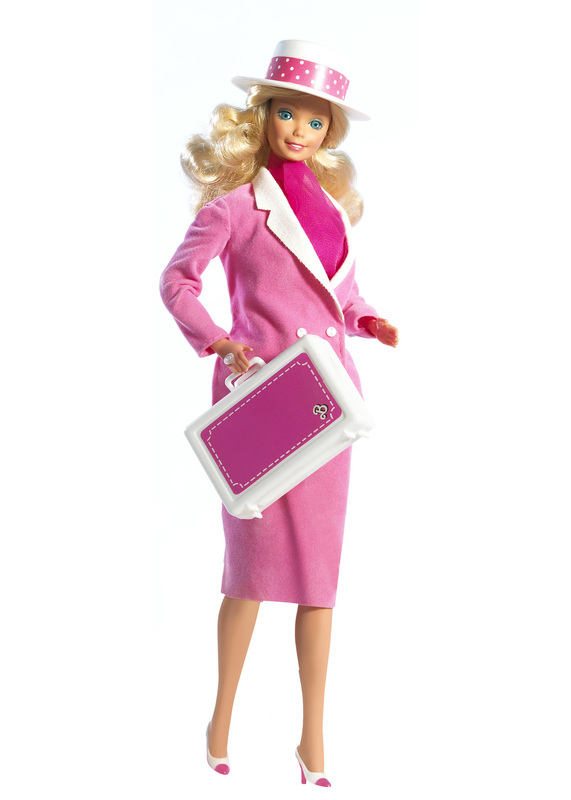 And yes, I am ashamed, Barbie was indeed a catalyst. And not just any Barbie dolls, but really, really tacky ones from the eighties. “Barbie & the Rockers,” “Golden Barbie”, “Day to Night Barbie”. Really awful clothes. Clothes that were SO awful that I had to redress them. I just couldn’t let them live their daily lives in my bedroom in those clothes. Mattel’s design department just wasn’t cutting it for my little seven year old self. I would steal ribbons from my sister, fabric from my mother and make them new garments. The blue rug on my floor became the ocean. The wicker bookcase with the curved top became their condo next to the ocean. The top shelf with the curved top became the penthouse. I made furniture for them, would cut images out of my mother’s Vogue and paste them to the walls. I actually spent more time designing for these blonde bombshells than playing with them. If they were going to have a boring day to day existence in which their small quiet owner didn’t play with them, they were, at least, going to have that solitary existence in style. Style that was inspired by Anna Wintour and Grace Coddington, but on a diminutive level. Last week, my mother’s studio had to be treated for termites, as so many old houses in New Orleans do. My sister graciously gathered up all of my random belongings I had stored there after hurricane Katrina. It was a huge pile, more than can fit in my car. In the center of this pile was my “Golden Dream Fashion Barbie Trunk.” I smiled wondering what little treasures I would find. I opened it and it was crammed with brightly colored lame jump pants and jackets all made to fit Barbie’s ridiculous measurements. Ribbons mixed with hairbrushes, safety pins and vintage doll clothes. I apparently kept all of my Barbie shoes in a Chinese leftover container. Truly hope I cleaned it out before using it. And it all came flooding back, those hours spent re-designing their lives: the blue rug lake, the wicker condo, the ribbon dresses, the magazine “paintings”. Yes, Barbie is controversial with her impossible proportions and bleach blonde hair, but she did spark my imagination and influence me to be aware of clothes and design, even if it was by default.